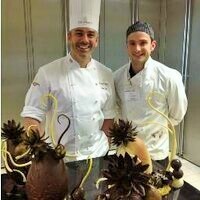 Sam Ayre is a chocolatier who has worked and qualifyied with some of the best chocolatiers in Europe. He uses the finest Belgian chocolate & natural ingredients for his hand-made creations. © Ayres Bakery. All rights reserved.